Altus SmartCelle micelles have achieved increases in water solubility of over half a million fold. Their high tolerability, robustness and ease of use facilitates rapid cost effective development of low viscosity low volume formulations for parenteral delivery at high concentration. These pH sensitive nanosystems target delivery to the upper GI to maximize absorption while their low crystallinity retains drug in amorphous form even at loading levels of 80% drug. To introduce SmartCelle Technology and the benefits it can bring, Altus is offering cost-effective fast turn around feasibility studies to our clients. For information on how to enter an agreement with Altus please contact us via our Contact Page. 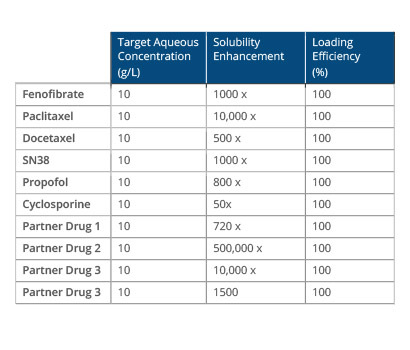 SmartCelle Parenteral: These concentration sensitive micelles maintain drug at high aqueous concentrations. 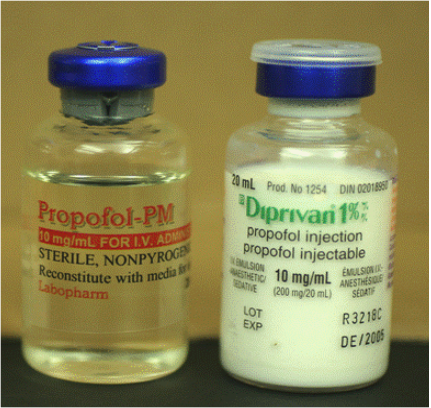 After injection drug is released rapidly minimizing changes to intrinsic pharmacokinetics. SmartCelle Oral: These charge sensitive micelles sequester drug at high concentration at gastric pH releasing it in amorphous form at the absorption sites of the upper intestine. SmartCelle technology can achieve significant increases in aqueous solubility for a wide range of small and large molecules. Loading efficiency is complete for all drugs tested. 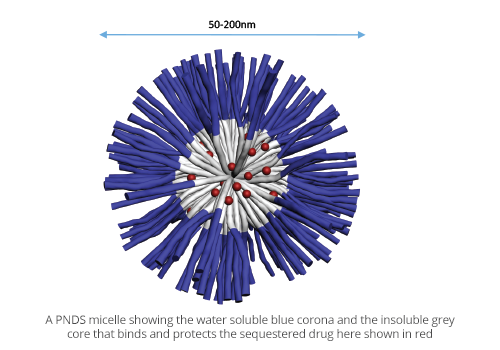 Expensive molecules, or those in short supply, are not lost during micelle loading. 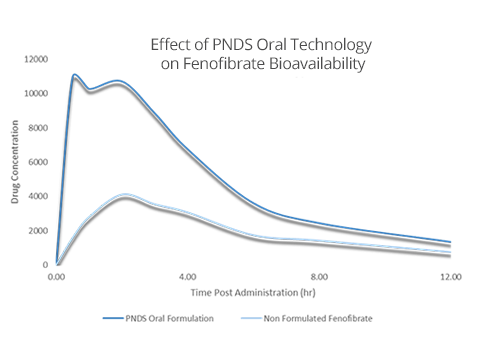 Both immediate release and controlled release (for oral delivery) formulations have been developed. 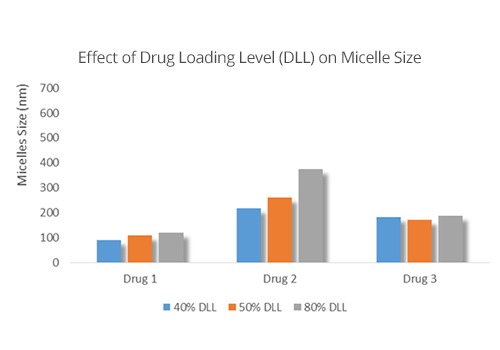 Drug loading levels of up to 80% wt /wt have been achieved with SmartCelle technology. Loading and protection of both small molecules and peptides has been achieved. SmartCelle Micelles retain and release drug in an amorphous form at high loading concentration for extended periods. 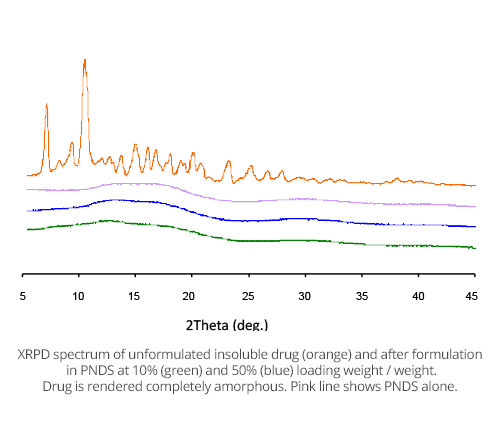 Figure shows the X ray powder diffraction spectrum of SN38, the insoluble pharmacophore of Irinotecan (Camptosar; Pfizer) formulated using SmartCelle Oral technology. Altus lipid free, preservative free formulation of the anaesthetic propofol developed for Labopharm inc.
Propofol –PM passes through sterilizing filters, is miscible with all common parenteral fluids and displayed less pain on injection than Dipravan.